With the 2019 EE British Academy Film Awards airing February 10th on Hollywood Suite, we’ve got the cure for your BAFTA fever with 10 past winners and nominees you can watch in February! Tinker, Tailor, Soldier, Spy (2011). This Best British Film winner adapts the classic John le Carré spy novel into a twisting, visually stunning thriller. Though he had a long career of memorable roles, this film also provided Gary Oldman with his first Academy Award nomination for Best Actor. Viola Davis takes the similar track to BAFTA this year with a nomination for the thrilling Widows. February 9 on HS00. Streaming On Demand and on HSGO all month. Blazing Saddles (1974). The British Academy famously has a soft spot for comedy and their nominations of the script of Mel Brooks’ classic and star Cleavon Little show some forward thinking love for this raucous comedy. Olivia Colman, Richard E. Grant, and Steve Coogan all make similar plays to turn their comedic roles into BAFTA gold this year. February 6 on HS70. Gods and Monsters (1998).Lynn Redgrave was nominated for a Best Supporting Actress award for playing Frankenstein director James Whale’s housekeeper in this film that explores his last days and the few people he let into his guarded life. This year, every single BAFTA Supporting Actress nominee is playing a historical character from Queen Elizabeth I to Lynne Cheney. February 22 on HS90. Streaming On Demand and on HSGO all month. Moonlight (2016). Though director Barry Jenkins’ follow-up If Beale Street Could Talk is only up for Adapted Screenplay and Original Music awards this year, his first time out with Moonlight he made a big splash at the British awards. 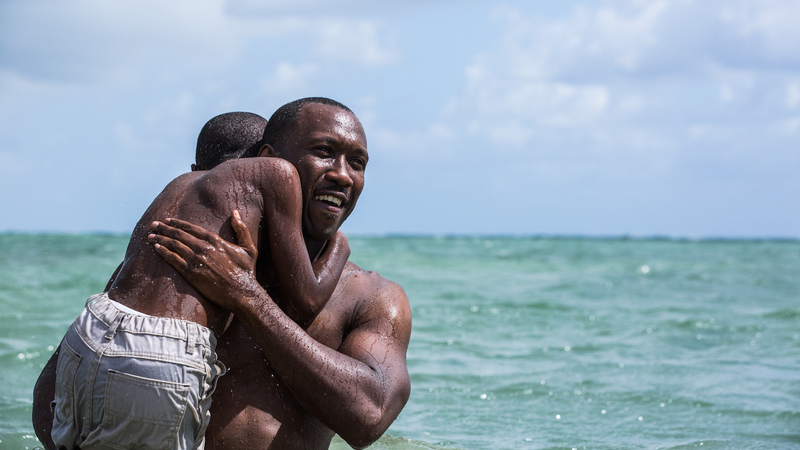 The film lyrically explores three moments in the life of a young gay black man growing up in tough circumstances in Miami and won three Oscars including best picture. February 8 on HS00. Streaming On Demand and on HSGO all month. Apollo 13 (1995). Ron Howard’s gripping space epic brought a new dimension to the work of astronauts and the danger they face in a mission gone wrong. This year, First Man explores similar subject matter with a look at the danger Neil Armstrong faced heading to the moon. It’s up for Best Visual Effects and Production Design, which Apollo 13 won in 1996, as well as Best Sound and Claire Foy’s supporting performance. February 16 on HS90. Cromwell (1970). It might surprise some to learn that a film that famously pits acting heavyweights Alec Guinness and Richard Harris in an epically staged civil war only received British Academy notices for its costumes, but the period recreations are breathtaking. This year's Costume race sees conventional costume nominees like Mary Queen of Scots and The Favourite take on more unusual choices like The Ballad of Buster Scruggs and the iconic costumes of Freddie Mercury in Bohemian Rhapsody. February 3 on HS70. Streaming On Demand and on HSGO all month. The Angel’s Share (2012). Ken Loach’s bittersweet comedy follows a group of ex-criminals who try to turn their life around by creating the best malt whisky in the world and garnered awards from BAFTA’s Scottish branch. This year Scottish director Lynne Ramsay has a chance to take home Best British Film, which would be her third British Film award, for her dark thriller You Were Never Really Here. February 27 on HS00. Streaming On Demand and on HSGO all month. Missing (1982).Costa-Gavras’ tightly-plotted thriller set during the Chilean coup won at the awards for both its screenplay and the editing of his long-time collaborator Françoise Bonnot. Political intrigue still reigns high in the editing category as Vice and The Favourite battle it out, though they may be surprised by the likes of Bohemian Rhapsody, First Man and Roma. February 21 on HS80. Spartacus (1960). Stanley Kubrick received his third BAFTA nomination for this Roman epic, but he’d have to wait until 1965’s Dr. Strangelove to take the trophy home. This year directors Yorgos Lanthimos and Bradley Cooper fight for their first award against veteran winners Paweł Pawlikowski and Alfonso Cuarón, but perhaps the most shocking part of the race is that Spike Lee is nominated for the first time. February 15 on HS70. Au Revoir Les Enfants (1987). BAFTA loves to take a chance on foreign language films in every category and this tale of the effect of World War II on children won Louis Malle Best Director. This year Alfonso Cuarón’s Spanish language masterpiece Roma and the Polish Cold War from Paweł Pawlikowski break the language barrier in Director, Best Film, Cinematography, Editing, Production Design and Screenplay categories. February 26 on HS80.